Enjoy nature's playground at your back door, as you let your cares float downstream... 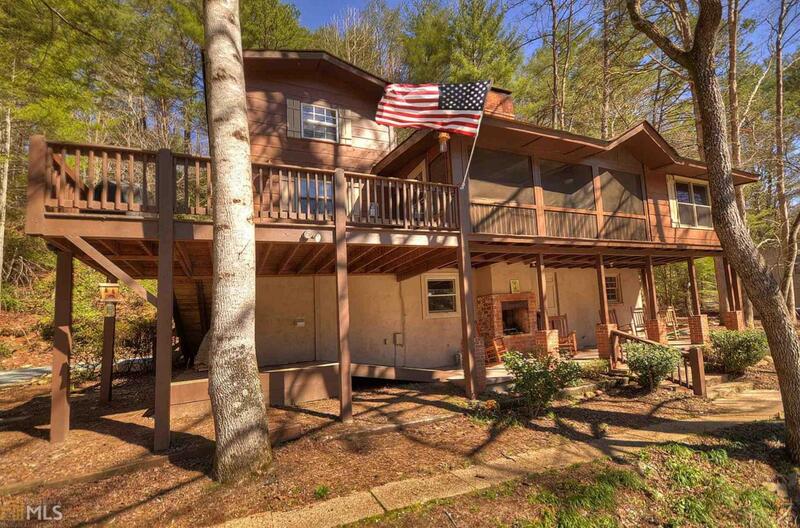 This completely remodeled riverfront cabin is the ideal mountain getaway & fisherman's dream as it sits along the popular trophy trout waters of the Toccoa River in the heart of the Aska Area! This home offers great style & character w/ rustic wood finishes, two wood fireplaces, plenty of room to roam w/ two lots, & easy access to the water. Other highlights include: great rental history, new roof, hot water heater, & more. Conveniently located close to historic downtown, Lake Blue Ridge, & nearby hiking & mtn biking trails, this is truly the dream river retreat. Whether your morning cup of coffee or your evening glass of wine you'll enjoy relaxing overlooking this beauty!